See Santa Get Busted In The New FedEx Commercial "North Pole"
During the Davidson family's tour of Santa's workshop, one of the elves shows them to the back. 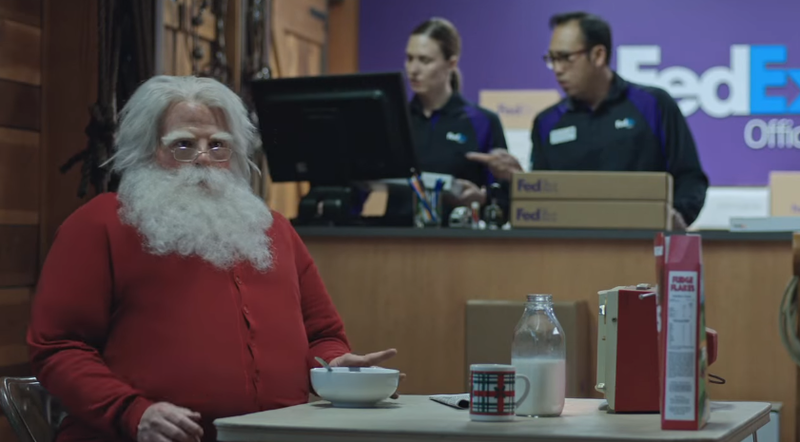 There, they find Santa watching football and eating cereal in a onesie while FedEx takes care of all the deliveries. Santa attempts to convince them that he delivers the presents himself by showing them his sleigh, but he struggles as he can't quite manage to pull himself up into the seat. AdStasher: See Santa Get Busted In The New FedEx Commercial "North Pole"